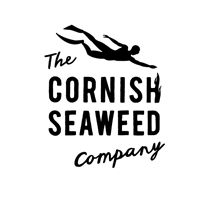 Inspired by our appearance on BBC2's Back to the Land and want to try your hand at cooking with seaweed? Here's a super easy recipe to get you started. Heat enough oil to cover the sea greens in a wok or frying pan until the surface bubbles. Carefully lower in a handful of chopped sea greens and add a sprinkle of Cornish Sea Salt, moving regularly with a slotted spoon until crispy. Remove to a clean dish towel or piece of kitchen paper to drain, then scatter with toasted sesame seeds. Seaweed burns very fast, especially when frying, so be careful and keep your greens moving!